You'll receive your money immediately after signing the contract. 100% free from the first step to the last. We even take care of the vehicle de-registration. If you're looking to sell your car online, look no further. We make this process easy and safe so that you can avoid all the complications that may emerge. Have your used car examined by experts in the domain. After we thoroughly evaluate the worth of your vehicle, we provide you with an offer that corresponds to that. Without a doubt, you can depend on a secure payment, and you needn't worry about unnecessary paperwork that makes this process dreary and time-consuming. This service assists you in saving time and effort. You're probably thinking right now: "how can I sell my car safely?" When it comes to selling second-hand cars, many challenges may appear on the road. Although you have the possibility of selling privately, it involves numerous steps you should follow, such as preparing and polishing your car beforehand, taking professional photographs, meeting with potential buyers, negotiating, and dealing with other formalities. Even though you can sell your car online using this approach, it is time-consuming; if you're inexperienced, you may not obtain the best rate for your vehicle's worth. Concurrently, another option is choosing a dealer's assistance. If you're thinking of selling your car to a dealer, this slow process will be rushed. However, the price you obtain isn't necessarily the best. What you need is to find a car buyer that gives you a fair offer. On that note, if you're looking for an in-between solution, you've come to the right place. One thing is for sure, the matter of pricing is important. Unfortunately, used car prices tend to go downhill, since potential buyers may no longer be willing to make a purchase if, say, the price is too steep. In truth, one should try to estimate the true worth of a vehicle. This way, you don't end up losing, nor do you send customers away with an absurd price. Each of these scenarios is commonly met. When you want to sell your car online, you may consider the present pricing system to give you a clue. Still, this is not always helpful since the condition of the car is the most important element. Ideally, you should balance the market pricing system and your vehicle's condition, and only afterward should you come up with a price. Notwithstanding, without the assistance of an expert this is an impossible mission. In this scenario, we aid you in selling second-hand cars by examining how much your vehicle is worth. What is more, we take care of the termination or cancellation of your car insurance so that you can sell your car quick. If you're decided to sell your car online with this service, you have to follow a few simple steps. You must start by including essential information regarding your automobile, and in a couple of minutes, you'll be given the result. Afterward, you proceed with establishing an appointment with one of our branches. The cars are evaluated by experts, free of charge. What do they require of you? 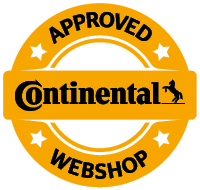 Make sure you have each certificate and repairing bill that outline the condition of your car. When it comes to car sales, these play a significant role in the evaluation process. By communicating openly, you can obtain a fair price for your automobile. In spite of your car's model and year of production, you can contact us, and we'll gladly contact you back. This service is provided by Autopink in cooperation with mytyres.co.uk.